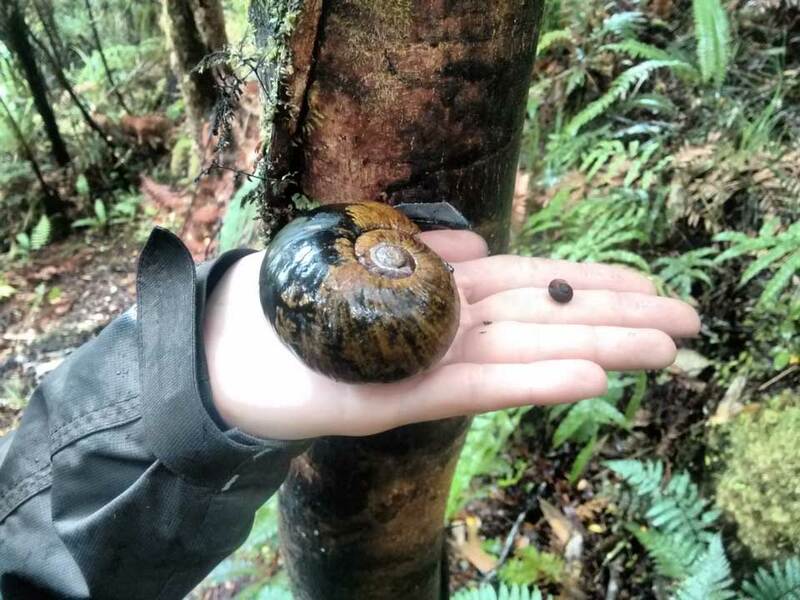 The sanctuary is named after one of the many fascinating creatures that calls it home: the kauri snail, or, as it is named in Maori, pupurangi. 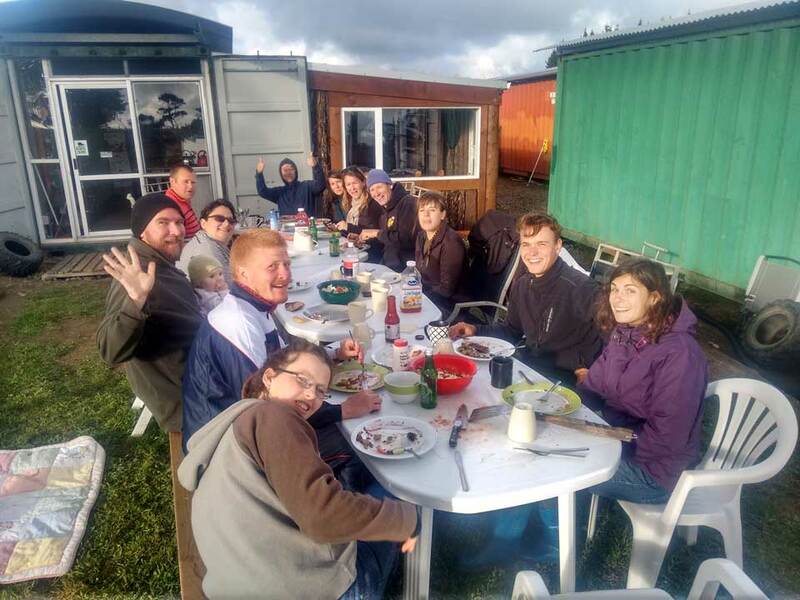 To minimize the impact on the environment, we chose not to build an ecolodge but rather borrow some tricks from pupurangi's philosophy; all structures are portable and the kitchen, showers, and the dinning hall are set-up in recycled shipping containers. Our tents are suspended from the trees and do not touch at all the forest floor. The rain water is collected from the roof, filtered, and used for drinking, washing, and showering. We have a small herb garden so we can cook with fresh herbs. The meat that we eat is mostly organic, from cows that graze in our neighbour's paddock. Sometimes we visit our neighbour and milk the cows and then use the milk to make our own cheese, butter, and yoghurt. The honey that we eat is made by bees foraging in the native trees of our forest. We also compost and recycle as much as possile. The little electricity that we use is generated by solar panels and by the occasional use of a generator. At night, we dine by candlelight and walk on paths lit by moonlight. We do not offer all the comforts of home, but we provide days full of experiences, a clean place to sleep, hot showers, and delicious meals to be shared with friends. The volunteers that worked with us during the 2017 season have helped create ten new access trails with a total length of 6 km. Along these trails and on the forest edge we installed 80 bait stations bringing the overall coverage to 100% of the sanctuary's area. In addition, we have setup and launched a rodent monitoring network consisting of five tracks (500 m each) and 50 tracking tunnels. This past season we also completed the trap network on the perimeter of the sanctuary, thus protecting it from the re-invasion of pests from non-protected areas. To keep track of our achievements and daily happenings, please like/follow our our Facebook page. During the 2017 season, our volunteers have contributed over 1000 hours of effort to the Trounson Kauri Park conservation efforts. We are also excited to be able to work in another DOC-managed forest in which the rare kokako lives. The work performed by our volunteers has been recognized with an award in the Heritage and Conservation category of the 2015 Trustpower Far North Community Awards. 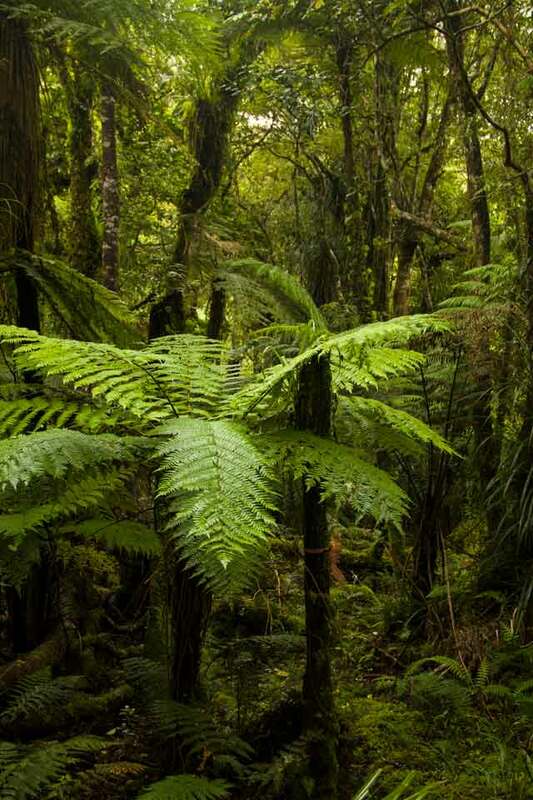 The Pupu Rangi Nature Sanctuary is a not-for-profit organization dedicated to the protection of New Zealand’s native flora and fauna. Our goal is to protect and extend a vibrant ecosystem while educating others on the importance of environmental conservation. Each summer we host a small group of international volunteers together with whom we learn, work, and explore our unique rainforest. The Pupu Rangi Nature Sanctuary is located 250km from a crowded city, 50km from the closest supermarket, 2km from the next door neighbour, and at an arm's length from the Milky Way. We wake up to the song of the birds, we spend all day outdoors attuned to the rythm of the forest, and at night the moon guides our steps. Nestled on the slopes of the Tutamoe peak in Northland, New Zealand, the Pupu Rangi Nature Sanctuary consists of 150 hectares of regenerating rainforest. This native forest is classified as having national significance and no logging is allowed within the sanctuary. 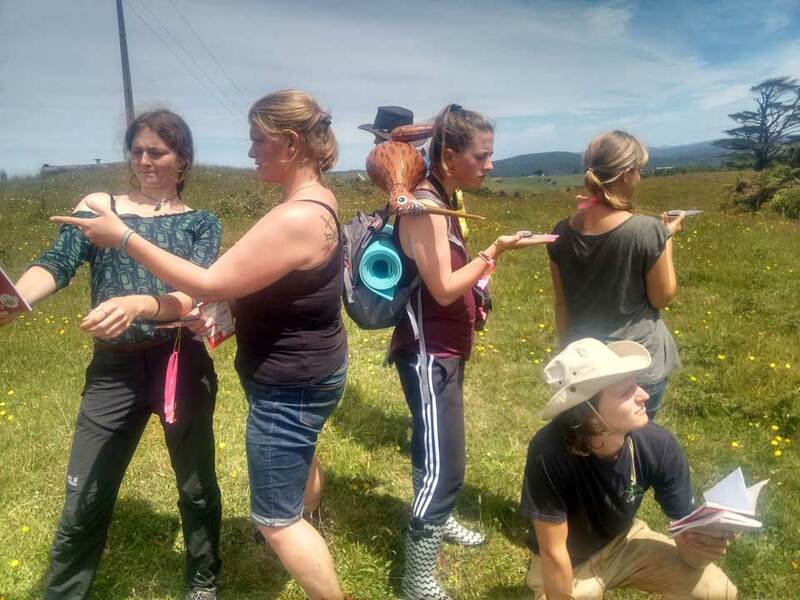 We are also located within a greater area in which kiwi are present and one of our long-term goals is to establish and maintain a protection area that will support twenty pairs of resident kiwi birds. Pupu Rangi is home to other native species of trees and birds that require active protection from introduced pests. Cows, possums, rabbits, and feral goats browse indiscriminately on young plants thus preventing the forest renewal. Possums, stoats, ferrets, and feral cats eat eggs and bird chicks endangering the native species that are not adapted to the introduced mammalian predators. Through different techniques recommended by the Department of Conservation, we try to keep down the numbers of pests to give the seedlings and the native birds a chance to develop and mature. 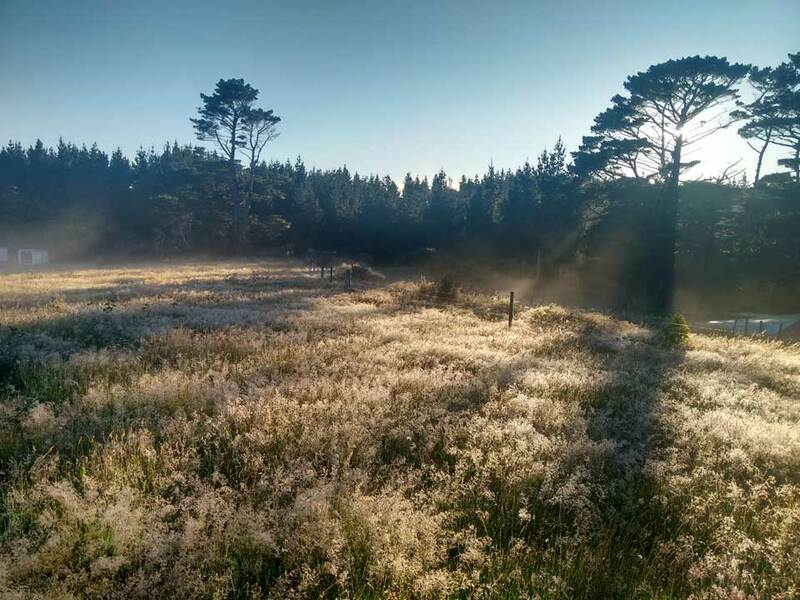 The Department of Conservation and the Pupu Rangi Nature Sanctuary have signed a five year Management Agreement that formalizes the excellent collaboration between the two organizations. Our volunteers are performing a number of biodiversity conservation tasks contributing to the protection of the Trounson Kauri Park. During the 2017 season, our volunteers have contributed over 1000 hours of effort to the Trounson Kauri Park conservation efforts. We are also excited to be able to work in another DOC-managed forest in which the rare kokako lives. If you liked what you read, checked the Facebook reviews, and are keen to participate in the volunteer or Explorer experience, check out the availability calendar and make a reservation!